Whether you’re new to a particular workout or a seasoned pro, these ten tips will help you get more out of your workout! Find your match. Everyone’s exercise preference is different. For some, rolling solo with some music jams and weights gets the endorphins a flowin,’ while others prefer the camaraderie and high energy of a class environment. Finding the right workout for you can literally make or break your fitness success! Don’t give up. Starting anything new can be challenging–especially a new fitness regimen. However, consistency is key to seeing results. So in addition to the right kind of workout, be sure to find class times and/or a gym location that make sense for you and your schedule… and get moving. Get the right gear. Be comfortable, but always be safe. It’s easy to pick a shoe based on cuteness factor, but do some research on the type of shoe you need. If you run and tend to pronate, make sure you invest in a stability shoe. If dance-fitness is your thing, make sure you pick a shoe with low tread for easier pivoting and sliding. Bring a friend. Everyone needs a workout partner. Bringing a friend (or friends) not only motivates you to show up, but keeps you on your game. Surround yourself with people who have similar fitness goals and interests! Let go. The best advice is the simplest. Forget the stress of the day and enjoy this special “me time.” Don’t respond to emails or text messages. In fact, leave your phone in your gym bag, if possible, so you can fully engage. Eat Right. You wouldn’t drive your car at 90 miles per hour with an empty gas tank, would you? Make sure that you are properly fueled for your workout. There is a lot of information available. 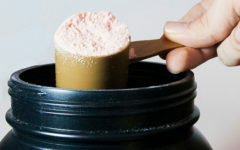 Check a credible source for proper pre-workout and post-workout nutrition info. Hydrate. Proper hydration is key for many reasons. H2O regulates your body temperature, lubricates your joints and is important for overall energy and health. It’s important to hydrate before, after and during a workout! Stretch it out. Stretching is key after any workout. Some classes include a cool-down at the end, but an additional 5-10 minutes on your own could make a difference in reducing next day soreness and increasing flexibility! Work hard, but don’t overdo it. Find a workout schedule that works for you and stick to it. It’s important to also remember that your body needs rest. Muscles need time to recover, so make sure you aren’t overdoing it.